The long-missing bell of Batoche, which is now being returned, will be placed in a Winnipeg museum home following a stop in Saskatchewan next month. It's been rumoured all week and now confirmed — the long-missing bell of Batoche will be returned, and it will be placed in a Winnipeg museum home following a stop in Saskatchewan next month. The bell will be given to the bishop of the diocese of Prince Albert, Sask., during a mass at the annual Back to Batoche Days festival on July 20 at 4 p.m. CST. The announcement of the historical event for Canada's Métis nation was made on Friday — National Aboriginal Day — in Winnipeg, and it comes far enough ahead of time that it gives Métis people from across the country "time to organize their journey home," stated a press release from the Union Nationale Métisse Saint-Joseph du Manitoba. The union has been entrusted by the Catholic Church to be the guardians of the bell, once it is returned. The bell will then make its way to Winnipeg, where it will remain permanently at the St. Boniface Museum except for approved outings at special events, according to museum officials. Museum director Philippe Mailhot told CBC News it's an honour for the museum to receive the bell, and the decision to place it there confirms the museum's importance for Manitoba's Metis and francophone community. The Union Nationale Métisse Saint-Joseph du Manitoba said its goal is to make the bell accessible to all Métis people and communities. "As requested by the keeper of the bell, this bell will become the living history of our people," union spokesman Guy Savoie stated in the press release. "The following message was given to us by the keeper of the bell for the past 22 years: 'The time has come to bring hope to our Métis people; I want the Métis to touch and ring this bell and let its sound reverberate into their strong spirit, to give them strength and courage to keep on fighting for what they believe in.'" Back to Batoche Days is the national cultural celebration of Métis people. In a typical year, some 5,000 people attend the event, but this year organizers said they expect 20,000, due to the return of the bell. 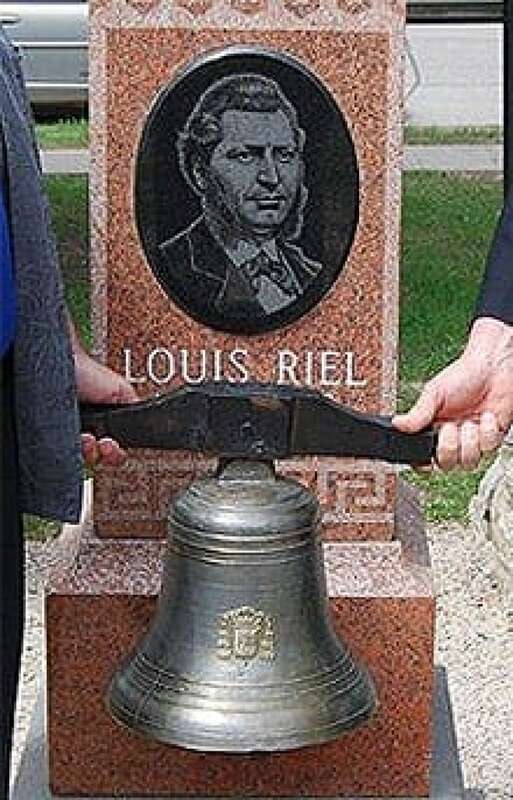 The bell was taken from Batoche to Millbrook, Ont., by soldiers during the Louis Riel-led North West Rebellion in 1885. Batoche served as the capital of Riel's provisional government of Saskatchewan at the time. Has the lost bell of Batoche been found in Manitoba? There have been reported rumours over the years of people claiming the bell was hidden in Saskatchewan or Manitoba. The 20-pound silver bell was taken as a war trophy from the parish church of Batoche and hung for decades in Millbrook, which was home to many of the soldiers sent to quash the rebellion. It was last kept in the Royal Canadian Legion hall in Millbrook when it disappeared in 1991. There were reports at the time that a pickup truck with a Saskatchewan licence plate was seen speeding off from the scene.